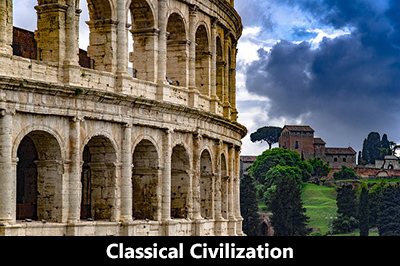 The Classics Program offers majors and minors in Classics with concentrations in three areas: Classical Civilization, Ancient Greek Language and Literature, and Classical Latin Language and Literature. What Is Classics and Why Study It? 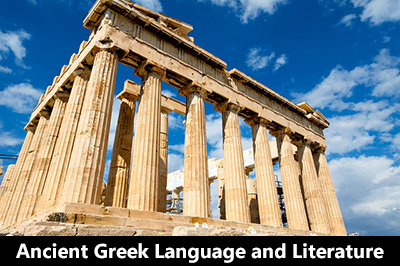 Classics is the study of the languages, cultures and societies of ancient Greece and Rome. The program offers courses in Latin and ancient Greek languages and literature, as well as courses on the civilizations of ancient Greece, Rome, Egypt and Near East. Students can choose from three concentrations for their Classics major or minor: Classical Civilization, Ancient Greek Language and Literature, and Classical Latin Language and Literature. 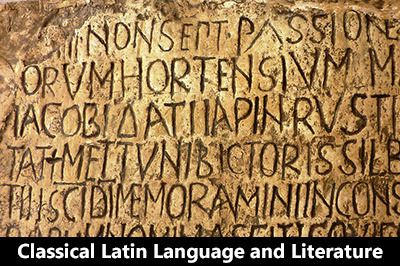 UWM students may decide to take Latin or ancient Greek to fulfill the UWM language requirement or may enroll in Classics courses to supplement their major or minor. The study of Classics allows students to develop skills in analytical thinking and creative problem-solving, as well as oral and written communication competencies—all of which can be transferred and applied to any career. Some possible careers for Classics majors include library studies and museums, education, publishing, editing and advertising, governmental and non-governmental organizations, law, medicine, theater and entertainment. That said, studies demonstrate that Classics majors are sought after by employers in many fields, from jobs in the creative economy to positions in business and industry; likewise, Classics majors are well prepared for graduate studies or professional programs. Classics majors have high admission rates in law and medicine programs, and often choose a career teaching Latin or history/social studies in high schools. The Classics program is now accepting applications for the David Mulroy Scholarship for the Study of Classics Abroad. The deadline to apply is November 19, 2018. See the Study Abroad page for more details.